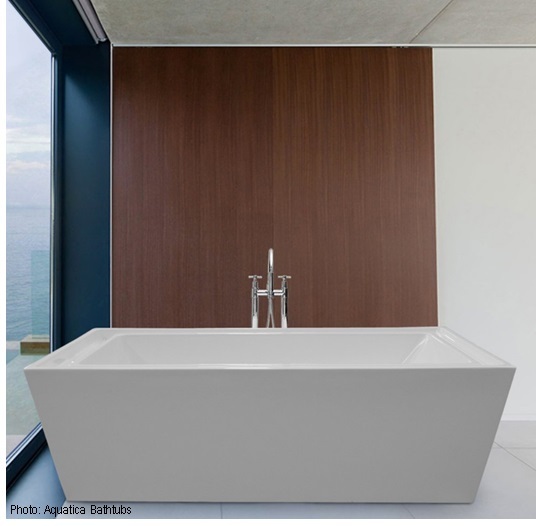 Acrylic and fiberglass bathtubs are the most common today replacing those made of porcelain that are still my favorite. Both are similar and both clean up the same way. 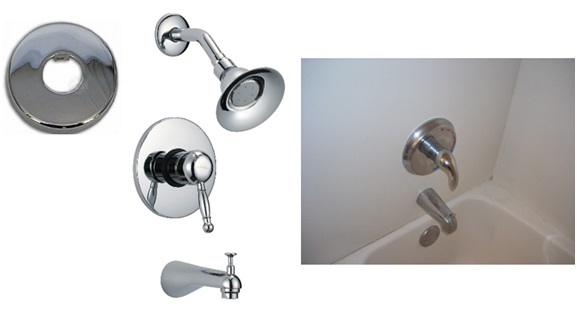 Cleaning acrylic bathtubs and showers is not difficult. Acrylic is popular because the tubs can be made in different shapes for your bathroom configuration and what you like best. No matter what the shape, it must be cleaned gently and often to maintain its shine and beauty. Natural products are best because they do work and are not harsh to the acrylic. The time-honored methods are still best using vinegar, lemon, and baking soda. When these don’t work, there are commercial acrylic tub cleaners available. Fill the tub up to the dirtiest part and add about 2 cups of vinegar. Let it sit for an hour for the acetic acid in the vinegar to do its job of loosening the grime. 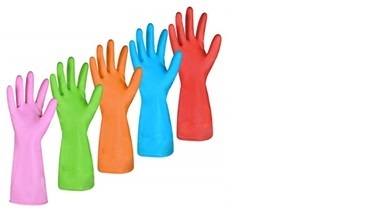 Vinegar will not damage acrylic plastic. Next drain the tub and while the tub is still wet, sprinkle the grime all over with baking soda that is mildly abrasive. Let this sit for 15-minutes. Rub the spot gently with a cotton cloth or soft sponge keeping away from using scrubbers or sponges that have a rough side used for heavy-duty cleaning. 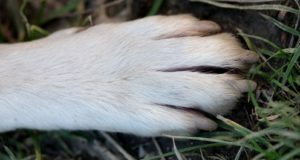 If gone, rinse and towel dry. Baking soda is gentle on acrylic for cleaning mildew, mold, soap scum, residual hair color, gummy hair conditioner, and plain old dirt. Hydrogen peroxide is good for mold too. If you need something a bit stronger, try using borax. Use alone or with dish detergent and rub onto the stains. A bit of history: Borax is the short name for sodium borate decahydrate a white, odorless, naturally occurring salt compound that forms as residue on dry lakebeds. It’s been around for thousands of years, but borax was a rare and expensive substance until it was discovered in California’s Death Valley, not long after the gold rush of the mid-1800s. Once it was mined and hauled to market in large quantities, local households quickly appreciated its soapy, water-softening properties. When it’s mixed with water, it reacts with some H₂O (water) molecules to form hydrogen peroxide (H₂O₂) that is an antiseptic and bleaching solution. The warmer the water, the better the reaction, and the solution maintains a stable, alkaline pH for optimal cleansing. 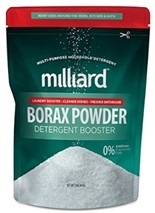 Borax is fantastic used in your clothes washer too. I’ve used it for years and love its cleaning abilities. 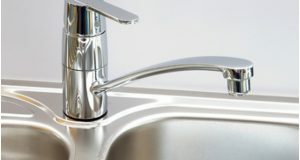 Around faucets and the water spout and shower head pipes, use a toothbrush for the edges of the escutcheons, tub edges, corners, and grout areas. When you’re satisfied with the results, rinse the tub, and if you have stains on acrylic, use lemon or chlorine bleach to remove it. Lemon is good for city hard water and lime scale stains and deposits. How to Clean an Acrylic Bathtub video. Try the above methods first. If that isn’t getting the dirt and stains out, try a professional cleaner such as Bio Clean: Eco Friendly Hard Water Stain Remover. It works for all your hard water spots from acrylic shower doors, windshields, windows, chrome, tile, toilets, granite, marble, porcelain, and stainless steel. 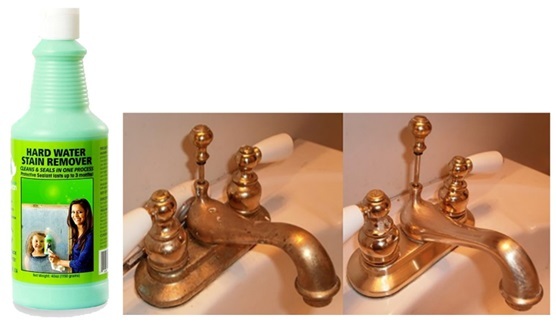 It works for brass faucets and fixtures as well as chrome or stainless steel. Scrub Free™ Bathroom Cleaner with Oxi Clean, Lemon Scent is a good tub/shower cleaner. 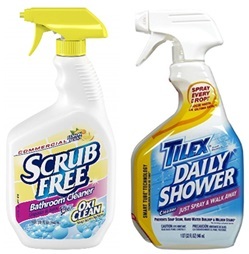 Another product I use daily is Tilex® Daily Shower to spray the tile or shower stall walls and faucets and it definitely works to send the dirt down to the bottom. I don’t have to spend as much time doing the hard clean using this product. The Daily Shower spray forms a protective barrier that helps prevent soap scum, and no rinsing, wiping, or scrubbing is required. It is a gentle bleach-free formula with a fresh scent that I like. When using commercial/professional cleaners, spray on and let sit 15-minutes or more to do the work. Follow the label instructions to clean manually, rinse, and dry. I have an acrylic tub and find it scratches easily with any abrasive cleaner. It’s one of those with a tub surround that is the same material and it scratches too. Oven cleaner for your tub? Demonstration video and it works! It’s best and we don’t like to do it, but cleaning the acrylic tub with detergent and water at least once a week will prevent the heavy build-up of dirt and stains. I love the Tilex® to help with this. It’s my go-to product that takes only a few minutes to spray. Don’t use abrasive sponges, scrapers, or scrubbing pads. Never ever use steel wool! Microfiber cloths available at big box stores are excellent for cleaning. Always rinse well so that there is no cleaner left sitting on the acrylic. A friend of mine smokes and the nicotine will discolor the acrylic over time. She has a difficult time cleaning her tub because of it. If you smoke, you might want to refrain from doing so in the bathroom. The smoke attaches to water on the walls, tub, and shower, to be a half-day job trying to remove if it does come off. Mr. Clean Magic Erasers also work well to remove the sticky film from acrylic tubs and showers. 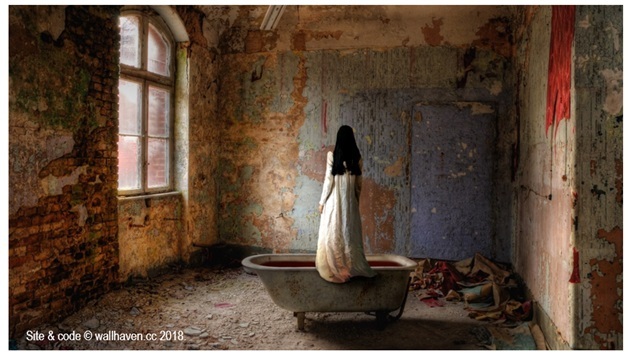 Being a lover of art and photography, I was enchanted and a bit charmed by this picture. It’s a bit mesmerizing and fascinating and I thought you would enjoy it too. Let’s never have our bathtub look like this one.